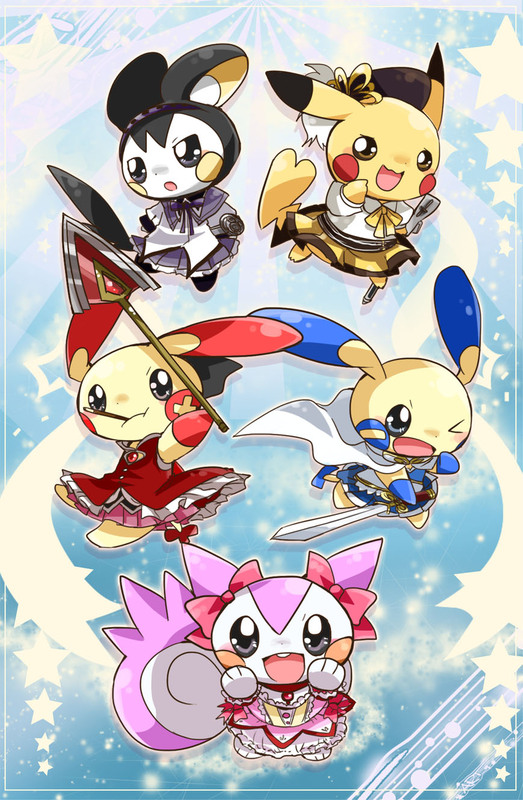 Oh god this is too cute but can Pachirisu and Pikachu switch places...? The super powerful and experimented leader (who,well,you know...),and the newbie not really powerful (or so we think...). The big difference here is, Pokemon has explicit authority figures in charge of the universe. Dialga is gonna want to have a chat with Emolga here... Well, either it or Celebi; their working relationship isn't really very clear. can this go in disgustingly cute, as that pachirisu at the very least meets that description.